Summer, and weddings, and insurance — oh my! It’s wedding season, folks! Which means lots of people needing wedding insurance. Plus lots of special events coming up for Fourth of July and Summer fun! 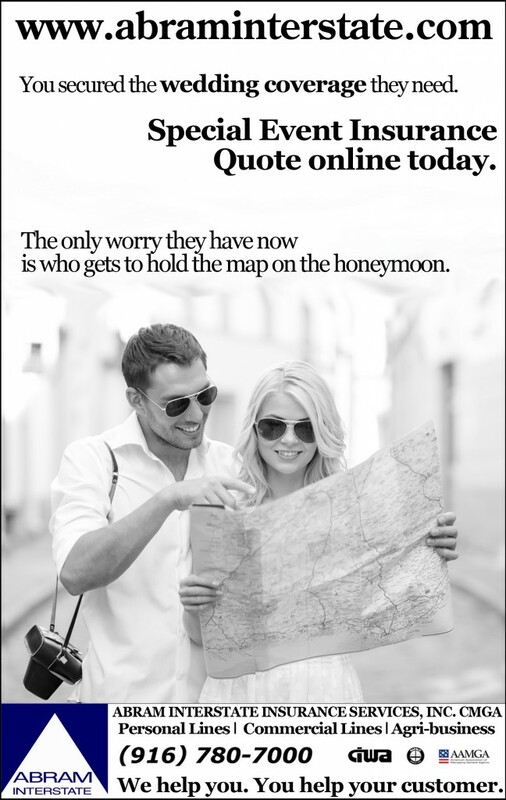 Make sure you come to us for the ease of online quotes and phone quotes for special event insurance this summer. Abram Interstate Insurance Services, Inc. is a wholesale insurance broker (CMGA) that has licensing and expertise to place business in both admitted and non-admitted markets in California and surrounding areas. We offer wholesale special event insurance, wholesale wedding insurance, and many more commercial classes.